This was the first book I read by this author. I had high expectations, as he is a law professor and a writer of many opinion and political books and commentary. Unfortunately, I was disappointed. The book started out well and was pretty suspenseful throughout. I am always a fan of books that deal with governments and secrets and conspiracies, as long as things are tied together well at the end. Unfortunately, this book fell short in that area. There was no “surprise-ending,” and it was a major anticlimax. Character development was very good throughout the novel, and the author did keep the reader guessing as to what was going to happen next. There was only one story line; however, there was enough mystery to still make it complex enough to be interesting. It is due to all this that I didn't give the book a lower rating, though 3 stars may still be rather generous. In conclusion, there was definitely good potential, but the author squandered it. I would not recommend this book, simply due to the ending. But if you like to read for the overall reading experience, it could be enjoyable. 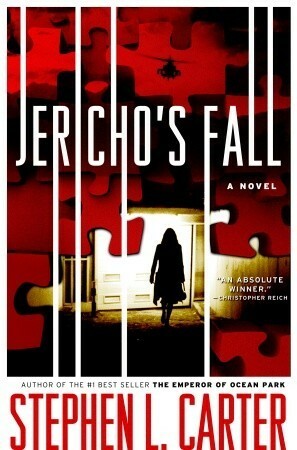 Sign into Goodreads to see if any of your friends have read Jericho's Fall.